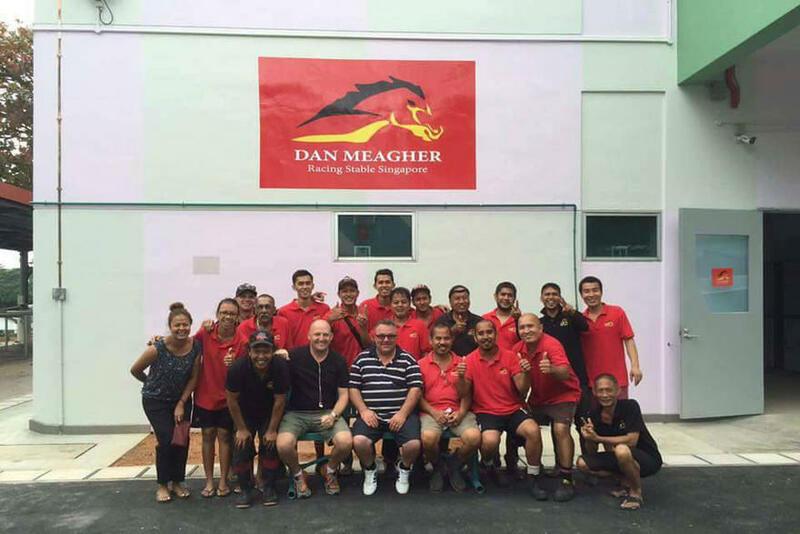 Dan Meagher might come from a proud racing family, but he has hit the ground running in his own right in Singapore. Dan has been training at Kranji race course for just over a year now and has grown his stable from 3 to 65 horses over this period. He has had great success with horses such as Dragon Fury, Webster and Natural Impulse. Dan has the motto that if you have Happy Horses and Happy staff it will equal happy results. Dan has put together a great team on the track but he credits much of his success to his team off the track with some great racing minds in the camp helping Dan achieve outstanding results. Dan learnt a lot from his famous father John who taught him to be hands on with horses and to be patient with them to maximise their potential. Dan is a big believer in giving his horses time to mature and to take the time that each one needs as they all learn and come on at different stages. One example of this was Webster who came to him as a tiny, light undeveloped horse but was given time to mature and the patience has been rewarded with him stringing a number of wins together. 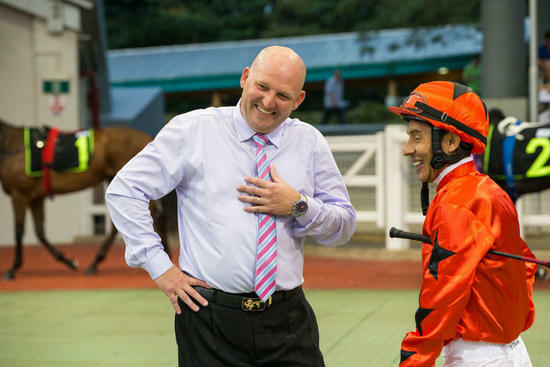 Dan loves the Singapore lifestyle where they race twice a week on a Friday night and Sunday afternoon and trackwork for the Meagher stable begins each day at 6am which is early compared to most of the local trainers. Dan also credits his success in Singapore to his wife Sabrina and son Caiden who are a massive part of the team and a huge motivating factor for Dan. In recent times he managed a training double on the prestigious Singapore Derby card which is a huge honour and thrill especially for such a young, up and coming trainer.